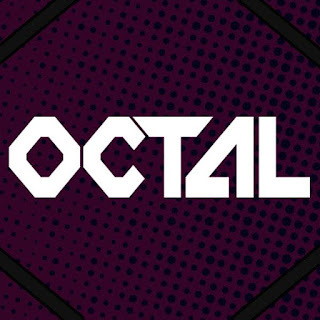 OCTAL volume 1 is now available on Drive Thru Comics. 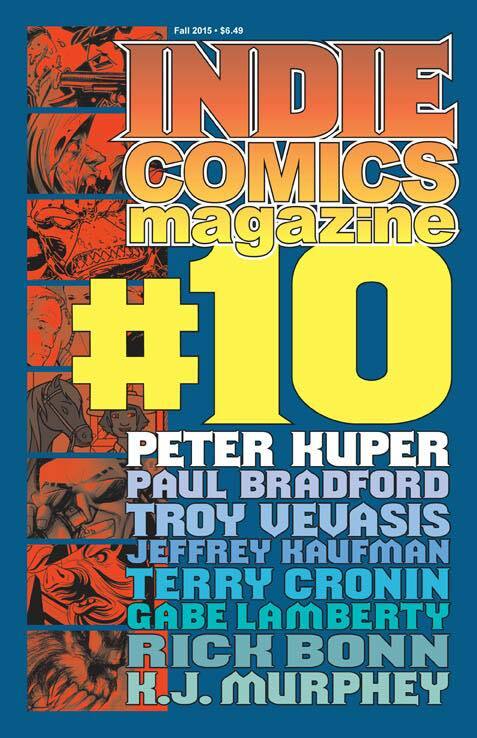 There are 8 great stories in this volume including my story "Astral Crusaders: Fields of Death". 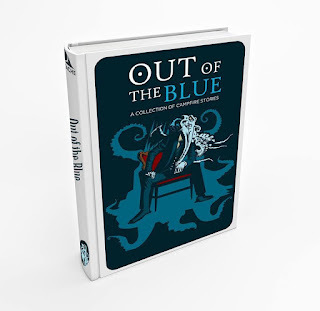 This is a pitch packet anthology that serves two purposes; to showcase the stories and to pitch to publishers. If you know any publishers that might be interested, they can sign up on Facebook to receive free copies of this anthology. In the meantime why not check it out yourself. Cheers. That's right it's out and it's free. It has a few contributions from me including Undercurrent: The Good Samaritan and The Adjudicator with art on both of these stories by Randy Valiente. It also has some Hierophantom's Poeticorners including The Ghost Train and The Citadel with art by Eric Hurley. What are you waiting for? Follow the link :) cheers. If you go down to the woods then you're in for a big surprise. 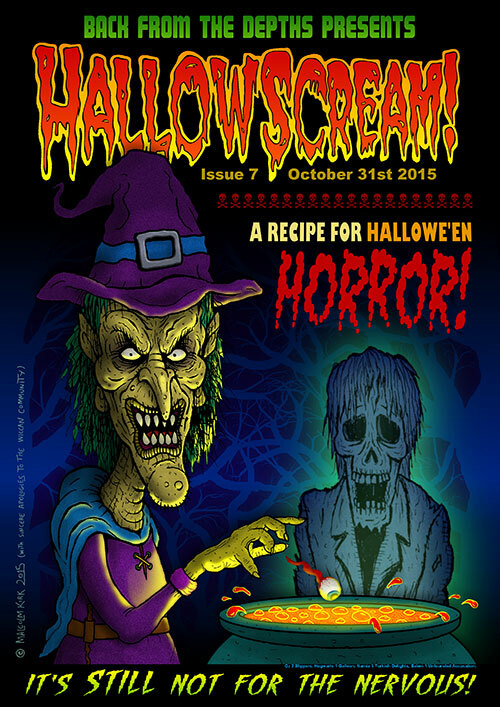 For the Halloween "Prompt" I have a two pager called Down to the Woods with amazing artwork by Luciano Fleitas and wicked letters by HdE. Check it out on "The Prompt" over on the old Facebook. Cheers. That's right, I said FREE. 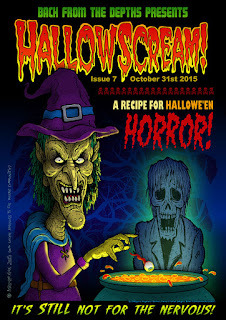 I have a "Hierophantom's Poeticorner" titled the Gothic Prince in this issue. Written by myself and typography by Gary Scott Beatty. 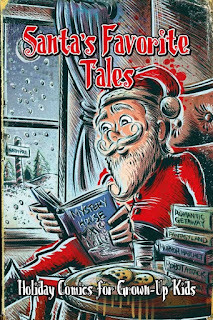 There are also a bunch of other cool stories and articles inside. So check it out! The original Uncanny Adventures from 2013 is now available on ComiXology. Check it out if you haven't picked up a copy already. 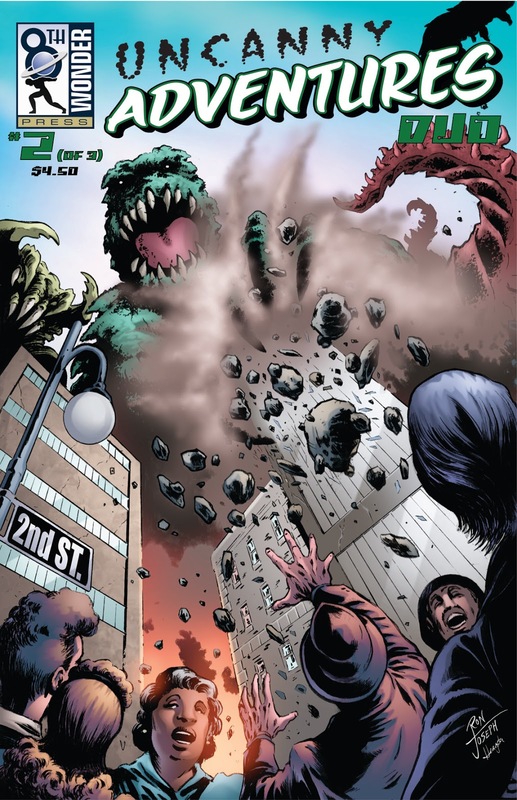 It has my "Communication Meltdown" story within, featuring the artwork of Randy Valiente. This and a whole pile of other cool stories make this a worthwhile pick up. Cheers all. 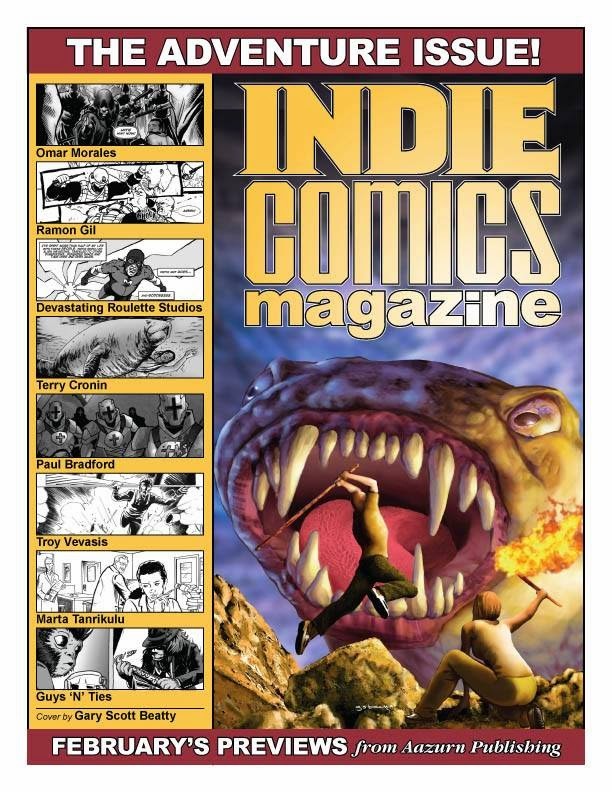 INDIE COMICS MAGAZINE #9 IS IN SHOPS NOW! 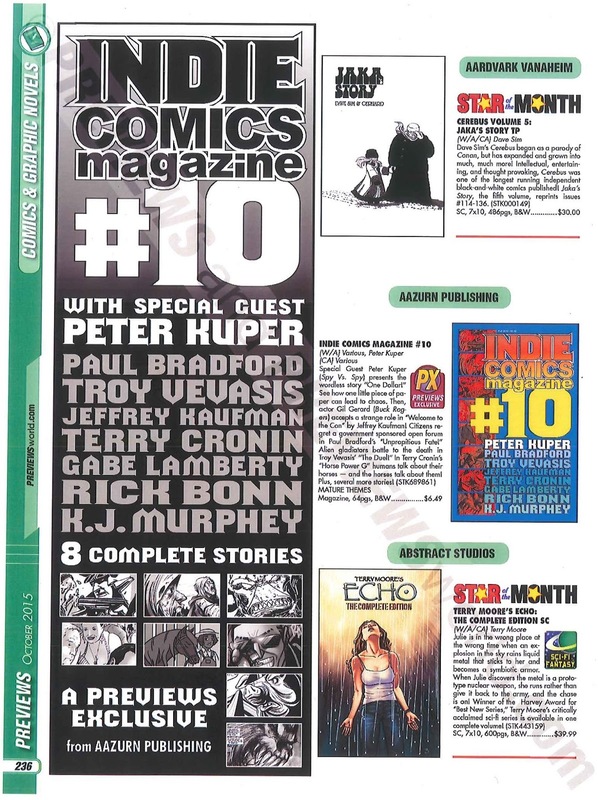 That's right, Indie Comics Magazine #9 is out now. 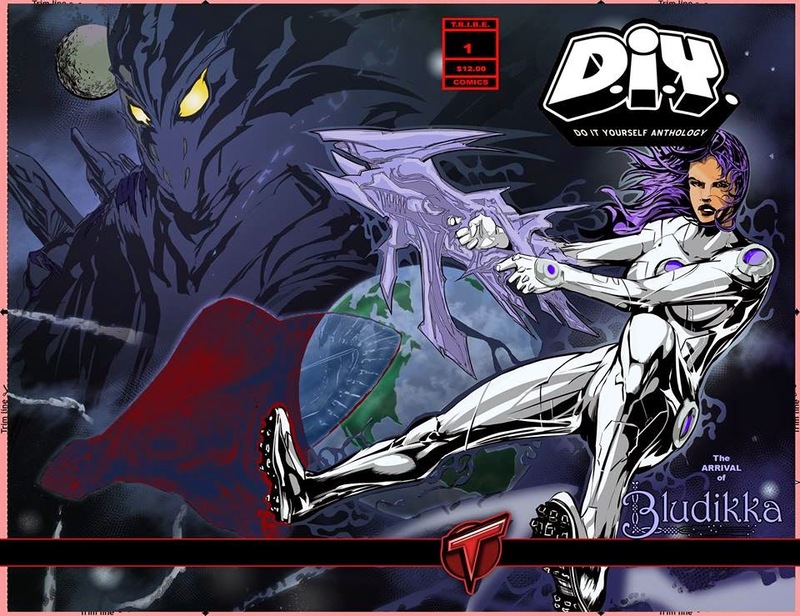 Grab your copy from your local comic shop. The Astral Crusaders make their long awaited return in this issue. 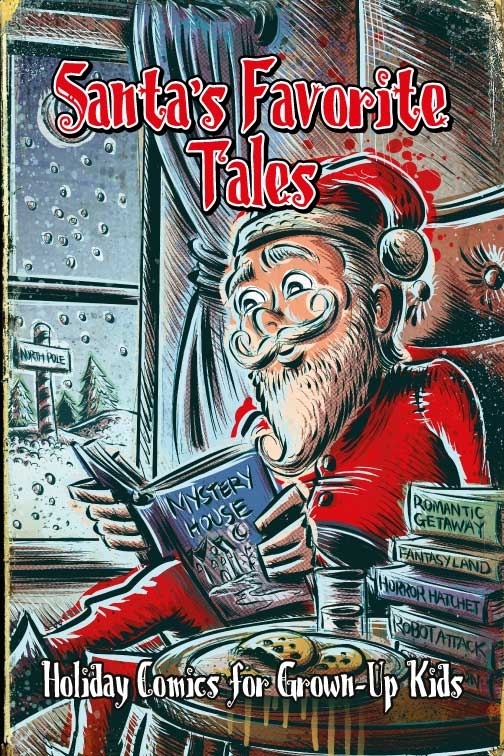 With seven other stories in this issue it might just be too much adventure to swallow in one comic. Check it out! 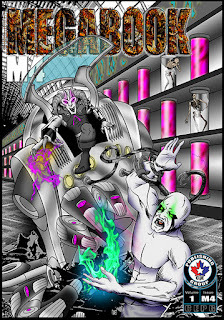 SciFiMax Cyberpunk Special #1 is out and free to view through Issuu.com. 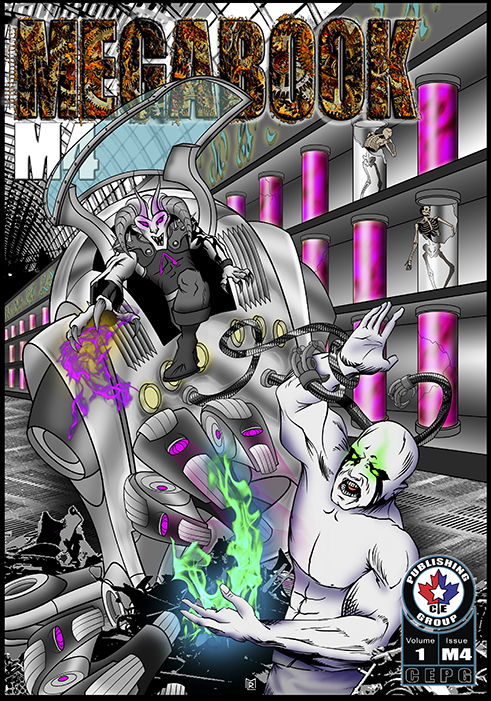 I have a Cyberpunk adventure titled "Unpropitious Fate" in this issue with amazing art by Matt Olson. One pager called "The Welcome Party" for "The Prompt". Written by myself with outstanding artwork by Allen Byrns. Check it out on Facebook (The Prompt) or on Tumblr (comicprompt). There are a bunch of great one pagers there to check out. So you like adventure? Who doesn't?? 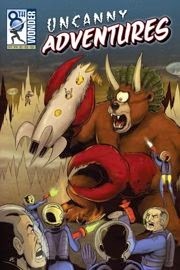 Then check out Indie Comics Magazine: The Adventure Issue! 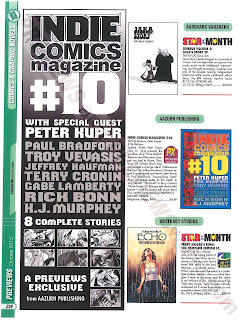 Order from February 2015’s Previews catalog under Aazurn Publishing, FEB150879! 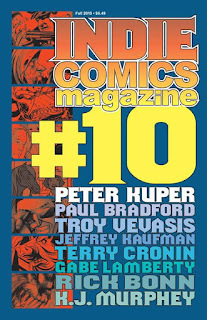 8 complete stories including an all new Astral Crusaders story. Order a copy or ask your local comic shop to get a bunch in. Cheers all.